Article Updated: 8 FEB 2018. It’s been almost a year since the Navigator VI (NAV6) was released for sale. Many of us experienced first hand that all of its new features were not quite ready for prime-time. At last years MOA Rally in Salt Lake City, the BMW NA Rep’s and the Garmin Rep, assured us that they were working on fixes. Many of those fixes did come via a couple of software updates – the latest of which, v4.90, fixed many of the known major issues. The NAV6 has new display hardware that makes for much better on-road, sunlight over the shoulder, viewing. The circular polarized screen cover, by itself, does make the display slightly less bright than the NAV5 but the enhanced contrast it provides and a slightly brighter backlight more than make up for it. Most polarized sunglasses should work okay with the NAV6 – try before you buy. Because of this new screen cover, the NAV6 looks more like your smartphones display in that it has a very shiny and firm to the touch screen cover. The NAV6 is still a resistive touch display so no special gloves are required. You may find you need to position the NAV6 so as to reduce the reflection of the sky or yourself in the display when looking at darker on-screen menus. I recommend riding with the NAV6 for a while before deciding if you need a matte screen protector - I haven't found a need for one. 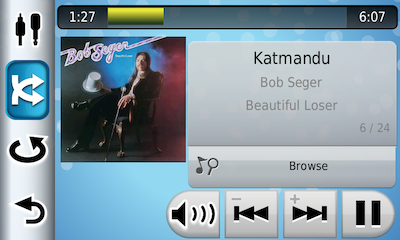 The new Media Player Bluetooth integration with a smartphone’s music is working well with the latest, v4.90, software installed: with some reservations. Unlike the Garmin zumo 590/595 Series, the NAV6 does not have separate Apps for Pandora, Spotify or Apple Music. The Pandora and Spotify services need to be started on your smartphone before the NAV6 can access them. The NAV6 Media Player will access Apple Music via the iTunes App on an iPhone but you have to know to use the Playlist option in the Media Player. 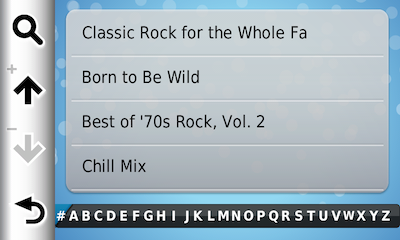 Most of the time the Media Player will even show the selected music’s artwork: but sometimes the artwork does not change when the Media Player moves to the next song in a Playlist. In addition, through the latest software update, BMW has finally enabled all 2013+ BMW’s with radios (GT, GTL, GTLE, RT) to access the NAV6 Media Player when it is connected to a smartphone. 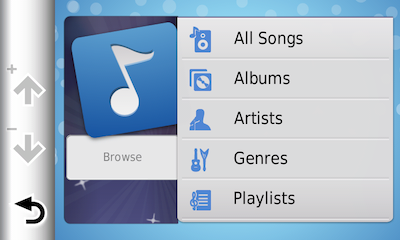 Clicking on the icon will show the music source options. 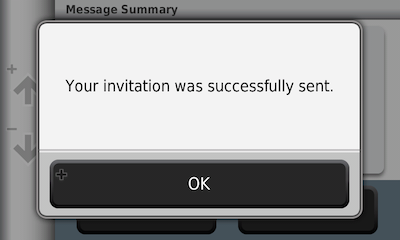 One of the other software improvements was the addition of the Automatically Skip Waypoint feature. 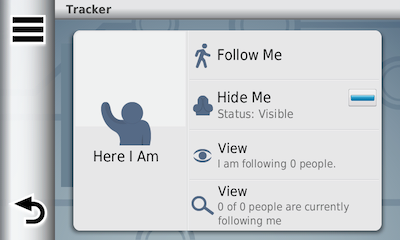 This allows the user to enable Waypoints in a Route to be automatically skipped when you deliberately bypass them. You can still use the manual Skip feature if you so desire. The one thing that Garmin/BMW have not done is to enhance the Auto-Skip setting with user selectable preferences of Time/Distance. These settings are in the code but not readily accessible by the user at the current time. Another new feature is the Round-Trip App. 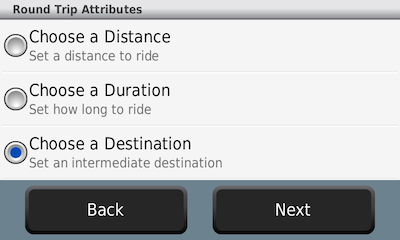 This App allows the user to quickly calculate a Round Trip route by setting a Start Location and then, if you desire, setting the attributes for their trip: Distance or Time or an intermediate Destination. Another addition to the routing feature is the Curvy Roads route calculation mode found in the Navigation Settings. This option avoids major country roads when calculating a route and will usually calculate a much longer route than using any of the other calculation mode options regardless of Avoidance settings. 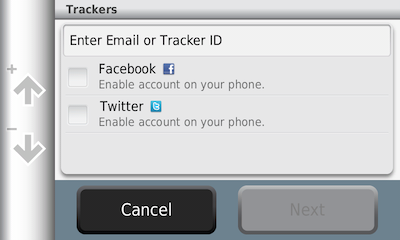 Garmin’s Tracker App is still available on the Apps page. 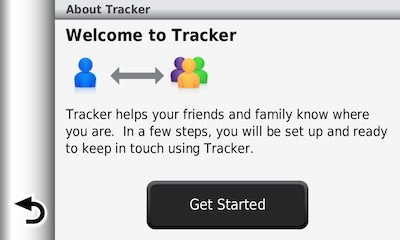 The app seems to work as you set it up for Tracking and even sends, via your smartphone an email to invite your select Follower(s). Unfortunately, Garmin’s Server side map for showing your location isn’t working at the time of this article. In addition, the email that is sent to your Follower(s) has links for iOS and Android App’s which don’t exist: at least not in North America. 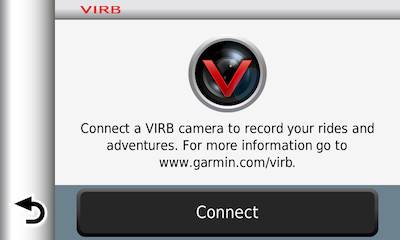 BMW/Garmin have also added Bluetooth support for remotely operating your Garmin VIRB Camera. You will not get a camera-eye-view on your NAV6 display, only access to the Start/Stop Recording function. And, since you cannot access this App using the handlebar Multi-Function Controller, I think the VIRB Bluetooth Remote Control placed on the handlebar might be a better option for some. BMW/Garmin’s approach to an intelligent GPS is to link it to your smartphone via Garmin’s Smartphone Link App. The Smart Link App on your phone does have some interesting features but the implementation is about ten years behind the current smartphone apps that provide the same features. For example, the Weather subscription (a one time charge) only provides current weather and forecasts for the closest major commercial airport weather station. In North America the nearest commercial airport might be hundreds of miles away from you if you ride in the western states, whereas the nearest NOAA weather station is most likely a few miles away. Many of Garmin’s latest Automotive GPS offerings use the Accuweather service to access all NOAA weather stations. Routing on the NAV6 is basically the same as on the BMW Navigator V, with the additions of Round Trip, Curvy Roads and Auto-Skipped Waypoints (Via Points). Routes can have up to 30 Via Points (Waypoints) which separate the route into segments and each of those segments can have approximately 150 shaping points (points that are not shown in the Skip Waypoint list or announced while navigating). 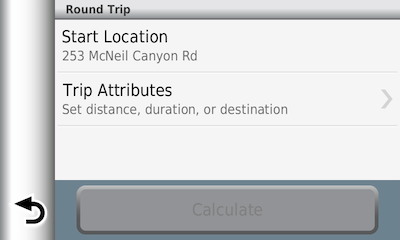 Two hundred Routes can be saved in the Trip Planner app on the NAV6 along with a user-installed micro-SD Card. The NAV6 is an excellent GPS for navigating your saved Tracks found in the Tracks App. You can save 200 Tracks and each Track can have a total of 15,000 Track Points. Saved Tracks can also be converted to Routes (Trips) on the NAV6. This Track-to-Trip conversion will yield an exact route path of the original Track as long as you do the conversion with the installed routable map(s) Disabled. Once the conversion is complete you can Enable your routable map and navigate the newly converted Trip – just don’t allow that converted Trip to be recalculated while you’re navigating. You can make sure that doesn’t happen by setting your Off-Route Recalculation to Off or Prompted, in the Navigation settings. Waypoints are still a strong suit for Garmin-based devices and the NAV6 is no exception. Waypoints are called Saved Places on the NAV6 and you’ll find them behind the Saved tab in the Where To? App. The Where To? 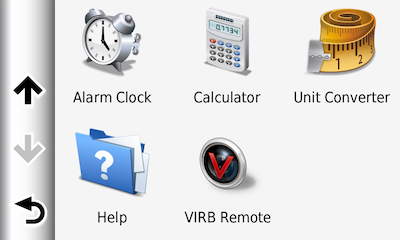 Apps main page is the only page on the NAV6 that the user can actually customize by adding or removing custom search icons as well as repositioning the search icons by dragging them to a new location on the page. You can save/import up to 1000 Waypoints and they can have any one of the forty-six Garmin Symbols assigned to them. The NAV6 does not support Garmin Custom Waypoint Symbols. If you need more Waypoints you can store more on the user provided micro-SD Card but you’ll need to delete some from Saved Places to make room to import more. If you really do need a lot more Waypoints, I recommend using Custom Points of Interest (POI) - you can have millions of them on the device. One thing that Garmin did add to Waypoints is support for Waypoint categories in the Waypoint data; but don’t confuse Waypoint categories with the Categories tab in the Where To? App which is for finding your Custom POI and the POI embedded in the Map. 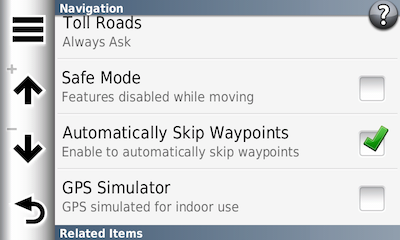 Assigning categories to Waypoints makes it easier to find the ones you want in the Saved tab. 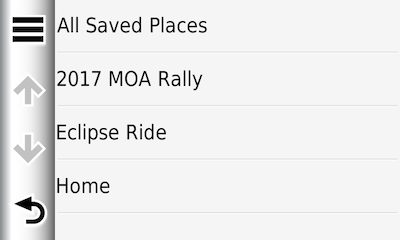 If you have assigned categories to any of your Waypoints, when you open the Saved tab the first page will show the option of All Saved Places and the list of your Waypoint categories. 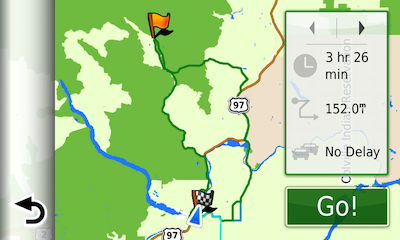 You can use the NAV6, Garmin BaseCamp, MapSource and the browser-based Trip Planner, Furkot.com, to assign categories to your Waypoints. The last major feature I’ll mention is the BMW Motorcycle integration with the NAV6. As with the NAV5 before it, the NAV6 can be linked to newer, 2013+, BMW’s through the BMW Navigation Preparation Mount. This integration provides the NAV6 with access to much of the bikes Instrument Cluster data as well as some bike performance data you can only view when the GPS if off of the bike – BMW doesn’t want you to get too distracted while you’re riding. The NAV6 also links to the BMW Multi-Function Controller, commonly referred to as the wonder-wheel, on the left handlebar. This remote controller switch can access several pre-defined pages on the NAV6. You cannot customize which pages you see or their order, nor can you access all options on these pages using the multi-function controller. I expect BMW has limited this functionality in order to reduce the amount of time you spend manipulating the NAV6 while riding. But, then again, you will most likely be touching your way around the interface anyway, so why not make it as easy as possible – using the remote controller wheel? Aside from the new features mentioned in this article, I think this remote control feature is one of the major reasons to have a NAV6 on your BMW. BMW includes a BMW Dealer Points of Interest (POI) file that can only be used on the NAV6. BMW does update this file once per year and you can download the latest version from BMW's website. 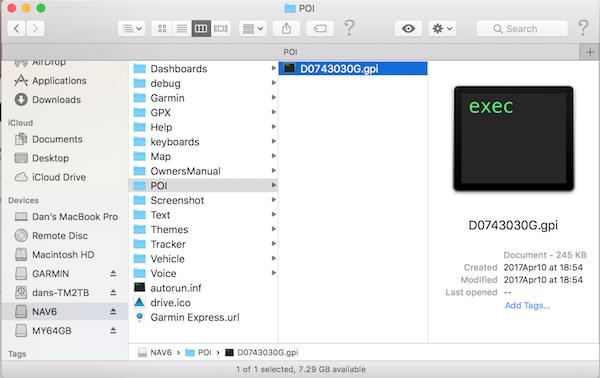 Once you download the compressed (ZIP) file, un-zip it and copy the xxxxxxxxx.GPI file to the NAV6/POI folder on your USB connected NAV6; as below. Once you have the new file copied over you can delete the older version. The latest BMW Dealer POI file as seen when the NAV6 is USB connected to my MacBook Pro. If you've read any of my previous GPS articles, or attended one of my classes, you know I've been using this "Basic Criteria for an Adventure Riding GPS" to determine if any GPS is something I would recommend to our clients--or anyone else. Let's see how the BMW Navigator VI features and functions stack-up. Pre-ride Planning: The NAV6 is compatible with data created in Garmin's BaseCamp and the browser Trip Planner, Furkot.com. Your Departure, Layover and Arrival Times are all transferred to the NAV6. 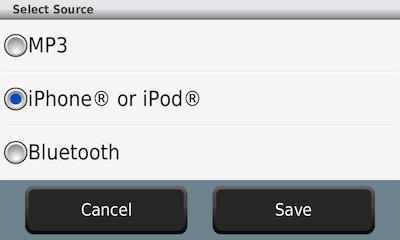 In addition, you can create new and edit saved Trips on the NAV6. Finds stuff for you: The Where To? feature is back to the full function search App that it use to be. It will help you find any data that is included in your map set and make it relevant to your current location or a location you choose. And, as you read above, if you have a connection to your phone using Smartphone Link, you can use your phone to look for locations and send them to your NAV6. Import and navigate Tracks and Trips: In either case, the NAV6 is one of the best navigation devices Garmin [and BMW] has offered for our purposes. Importing routes without any recalculation and providing Track support that will make the On The Trail folks a bit envious. Record a ride: The NAV6 doesn't do anything fancy when it comes to the Trip Log (track log) like the Garmin handheld units but it does record your travel and it will record a history of where you have stopped and your travel trends. For most of us, features like saving the Trip Log for future use is the most important. Archive a ride: The NAV6 does Archive the Trip Log on an as-full basis. I prefer to separate my logs by Day. This is not a settable option on the NAV6 so I make it a habit of Saving my Log to the Tracks-Saved list at the end of each day. This is not as user configurable as the features of the On The Trail units but it is workable. Share a ride: The NAV6 can share saved Trips, Tracks and Places (Waypoints) by saving them to your micro-SD Card (don't forget your screwdriver). The menu also offers the option to "share" via Bluetooth but this is a proprietary implementation from NAV6 to NAV6 only. Portable, ruggedized and waterproof: Yes, yes and yes; as we have come to expect from Garmin. Powered by Battery and external 12VDC: The NAV6 has a replaceable Lithium-ion battery pack and uses Garmin's well designed externally powered mounts. Glove Friendly: The on-screen buttons are large and easy to select. The Circular Polorized screen cover is firmer and shinier than previous models but it is still a resistive touchscreen device making it 'glove-friendly'. Import and Create Waypoints and display their properties: The NAV6 certainly passes this criteria as outlined above. 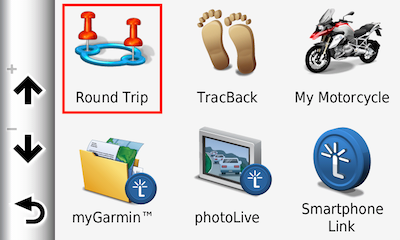 Software is user upgradeable: Yes, via Garmin Express - a free download from Garmin. Reduce stress and Encourage Exploration: After several years of using this category it will no longer be a part of my criteria. I've realized that there probably isn't an electronic consumer device made today that is stress free and if you purchased a GPS you most likely have the desire to explore. Just make sure you know the devices limitations - and your own. Optional World Wide Maps and Map Types: Garmin is the undisputed leader in consumer GPS sales. I believe that this came about mainly because they “allowed” their map technology to be reverse engineered by third party map developers over the years. Although not officially supported by Garmin, there are map products that cover the globe and many are free. The NAV6 of course supports all of the Garmin City Navigator maps and some of the other Garmin On The Road map products but I suggest you call Garmin Tech Support and check compatibility since the NAV6 doesn't show on any of Garmin's Map Compatibility lists since it is a product made exclusively for BMW. The new BMW Motorrad Navigator VI easily meets my criteria for Adventure Riding GPS receivers and it might even work well for some Dual Sport riders but that will depend upon personal preferences. If you decide the NAV6 is for you, check it out at your local BMW Dealer because you can't buy it anywhere else.